Why do We Use Rail Nuts with Spring Washer or Flat Washer? What are Rail Nuts, Railway Spring Washer and Flat Washer? The rail nut, railway spring washer and flat washer are all indispensable railway fasteners, often found in the rail fastening system. 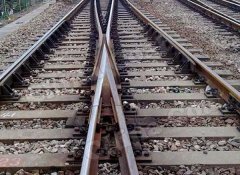 The rail nut, railway spring washer and flat washer cooperate with other rail fasteners to firmly fix the rails on the rail bed to ensure the safety of railway transportation. The rail nut is a part screwed together with a rail bolt or screw for fastening. Washer refers to the part cushioned between the connecting piece and the rail nut. Generally, it is a flat metal ring for protecting the surface of the jointed parts from abrasion by the rail nut and disperses the pressure of the rail nuts on the connecting piece. Unlike a railway flat washer, the railway spring washer is not closed overall and has an opening on it. This structure can effectively prevent the occurrence of looseness. The rail nuts and railway washers are used together to form a system and guarantee the fastening effect. Rail nuts with railway spring washer and flat washer are generally used in conjunction with rail bolts, and there are many railroad fasteners need to be fastened through them. 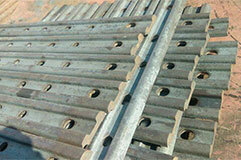 Rail joints, iron tie plate, rail clips, railroad clamps are all need rail nuts and railway washers. Why We Usually Use Rail Nuts with Railway Spring Washer or Flat Washer? The railway flat washers can increase the contact area between the rail nut and the connecting piece, so as to increase the surface area of fastening force and the friction force. When the appearance of the connecting piece surface is more important, the use of railway flat washers can prevent scratches on the rail nut contact surface. The railway flat washer can also be placed under the spring washer to prevent the spring washer from scratching the contact surface. Due to its special structure, the railway spring washer has an angular shape instead of a common rounded corner. When the rail nut is tightened, the angular shape corners follow the direction of rotation, the anti-loose function does not work, and the bolt can be tightened smoothly. When the railway nut is turned in the opposite direction, this angular angle corresponds to a barb thorn, which is firmly stuck into the upper and lower contact surfaces so that it cannot be reversed. This is the railway spring washer anti - loose principle. Limited by the material and technology of threaded fasteners, the supporting surface of rail bolts and rail nuts is not large, so in order to reduce the pressure stress on the bearing surface to protect the surface of the connected parts, add a railway flat washer between the bolts and rail nuts. The railway is exposed to the wind and rain all year round. 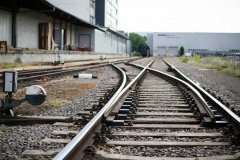 The damp, rust and aging often occur on the railroad fasteners, therefore, it is necessary to regularly inspect and replace the aging rail bolts and rail nuts along the railway. 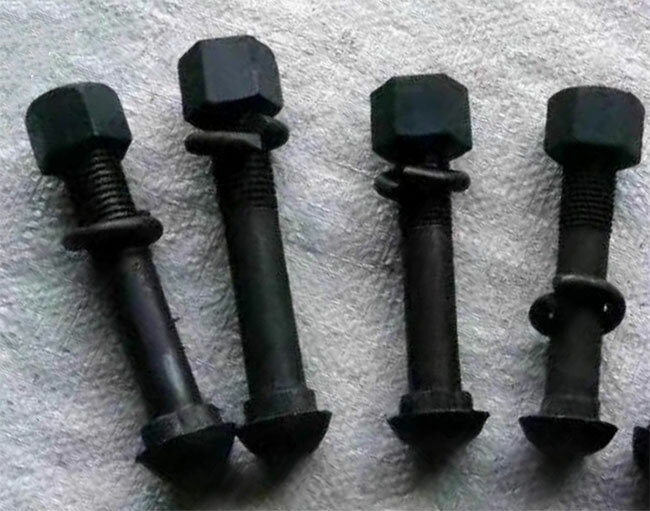 At this time, if the bolts do not add a railway flat washer, the adhesion between the bolts and the connecting parts will occur and it is difficult to remove the bolts. There are many trains pass by the railway every day, and it is inevitable that the train will shake every time when it passes. Due to the characteristics of the thread, the railway nut is easily rotated in the direction of the thread after tightening, resulting in the loosening of the railway nut. At this time, adding railway spring washers can effectively prevent loosening and avoid unnecessary accidents. 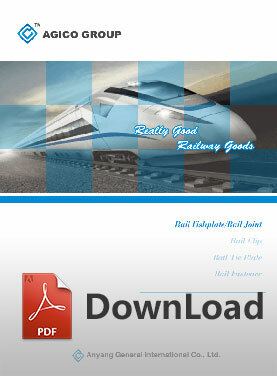 As a result of material reason, railroad parts can produce stretch change with different temperature. Adding railway spring washers between bolts and rail nuts can provide buffer space for this expansion change, thus avoiding wear and tear of rail parts. From a security standpoint, adding a railway washer is essential. Specific quality control rules and manuals are available, each steps take quality assurance measure. We Respect Your Email Privacy, We Hate Spam As Much As You Do!